The temperature this week is supposed to be in the upper 70’s. Spring is in full force and summer will be here before you know it! That means out with the winter skin products and in with the summer skin care routine! There are a lot of things that I enjoy about summer. I love the sun coming up early to motivate me to wake up and get moving. I love summer evenings spent at our local ice cream shop. Days at the pool, weekend camping trips, and Popsicles rate pretty high up there, too. What do I DISLIKE about summer? That’s pretty easy…the heat, the sweating, and the constant battle with my skin! Summer skin care can be challenging! 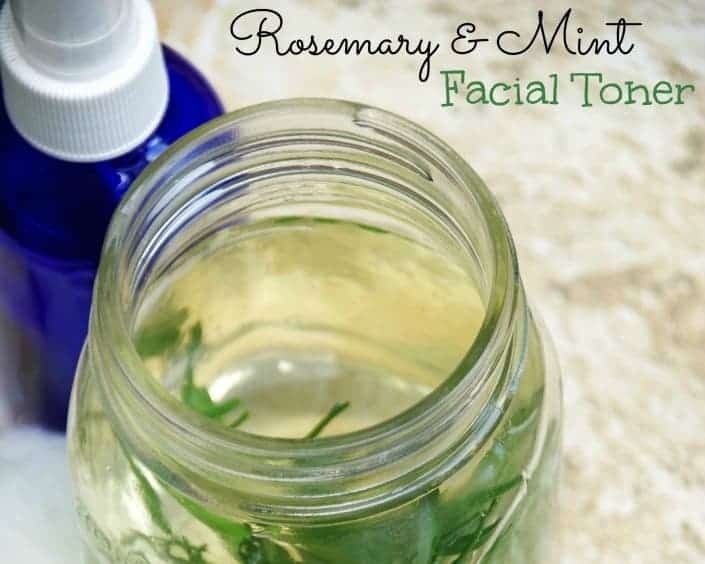 Well, I am up to the challenge and I put together this easy Rosemary Mint Facial Toner to improve my summer skin care routine! The sun’s rays are drying to delicate lip tissue. Don’t forget to moisturize them regularly. I use a natural lip balm whenever possible. 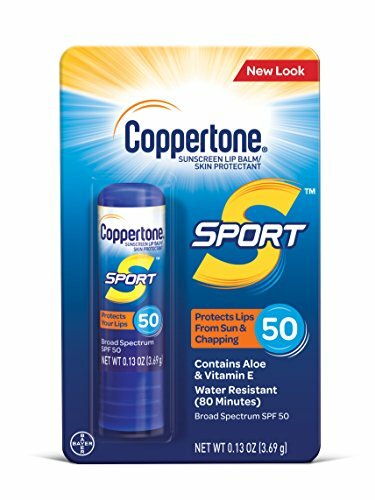 You can add in one that has SPF if you choose. Check out my post on healthy lips for more tips. Hydrate and refresh regularly. Keep a face mist in your refrigerator so you can mist your face regularly. You would be amazed at how refreshing it is. Try Ariul vitamin face mist to hydrate and feed you skin at the same time! Don’t forget to protect your scalp. 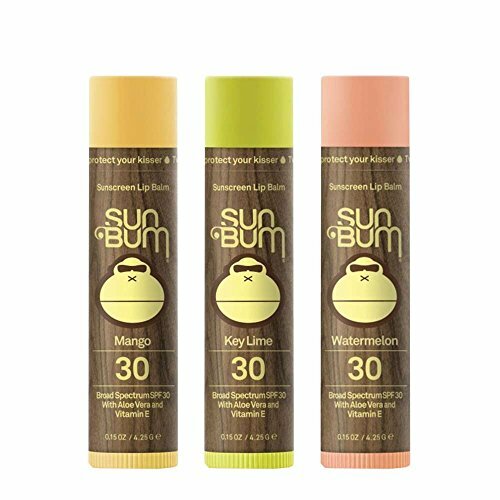 Use a sunscreen spray along your part. It’s harder for creams to be absorbed there and harder to wash out. Take cool showers. Hot showers after sun exposure further dry your skin. Wear a hat! A wide brimmed hat will offer full protection from the sun. Exfoliate your skin! Try my homemade oatmeal scrub which helps moisturize AND exfoliate! Don’t forget your feet! Going barefoot is hard on your heels. Check out my summer foot care tips for flip flop ready feet. Don’t dry shave! Shaving daily is sometimes necessary in the summer but it can be very drying. Use a rich shaving cream like my homemade shaving cream recipe to really moisturize and protect your legs. Why Use a Skin Toner? The biggest problem I have during the summer is that my face tends to be rather oily compared to my dryer, winter skin. 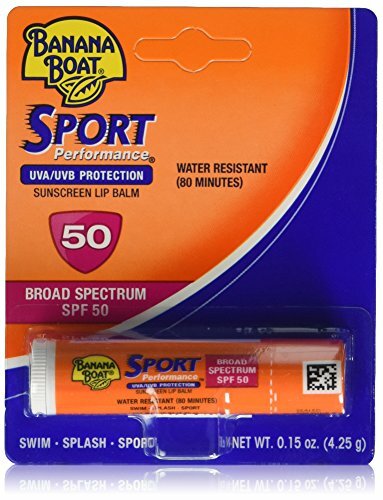 The constant sweating, combined with regular application of sunscreen has a tendency to clog pores. And when pores get clogged, acne soon follows! The easiest way to unclog those pores is to use some sort of astringent or facial toner on a regular basis. While searching for DIY facial toners I could make at home, I came across a number of them that use fresh herbs. That sounded very appealing since my back yard is loaded with fresh herbs right now! There are a lot of herbs that can be beneficial for summer skin care but the two that really appealed to me were rosemary and mint. Mainly because those two herbs are extremely prolific in my garden and I love the smell of them! Mint has anti-inflammatory properties which means it can take some of the redness out of insect bites or acne. It also helps get rid of blackheads which will result in a clearer complexion. Rosemary contains a wide array of nutrients such as iron, calcium, vitamins and antioxidants. It helps nourish the skin and improve circulation. 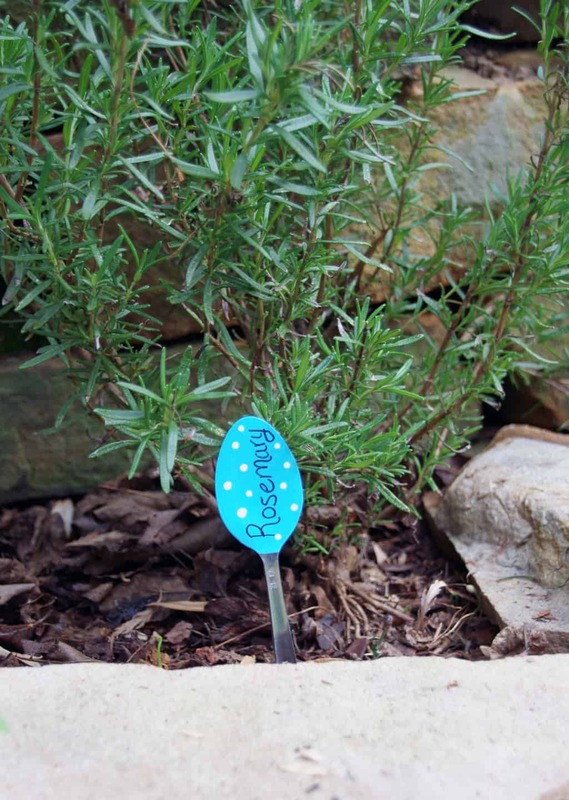 There are dozens of uses for rosemary and it is incredibly easy to grow. I suggest you plant some this spring! If you are hoping to improve your own summer skin care routine, I encourage you to give this DIY facial toner a try. 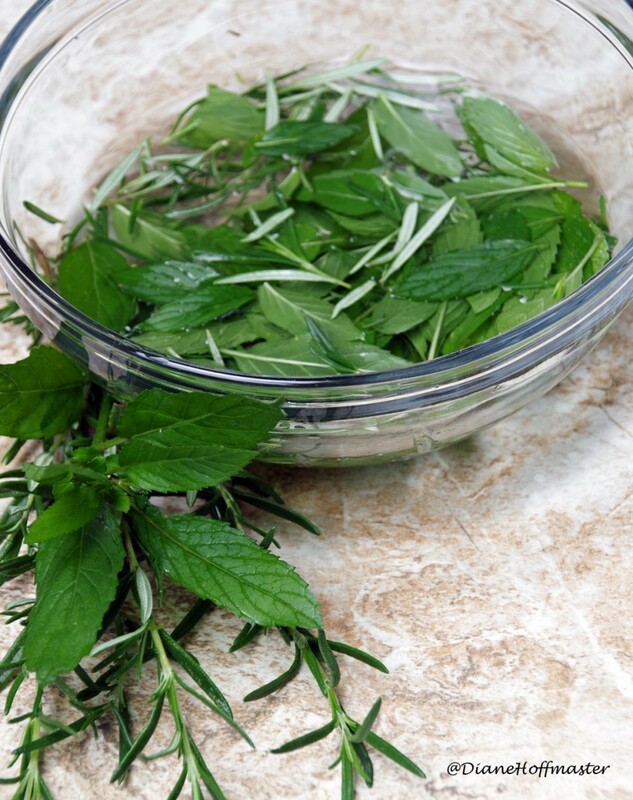 If you don’t care for rosemary and mint you could do a bit of research for other herbs that are beneficial to the skin. The process for creating this DIY facial toner is simple: Just steep the herbs in 1 cup of almost boiling water for 10 minutes (just like if you were making tea!). Strain the herbs out and let it cool. When the herb infused water is cool, add anywhere from a few tablespoons to a 1/4 cup of witch hazel (the oilier the skin, the more witch hazel you use). This facial toner can be applied with a cotton ball or spritzed directly onto the face from a glass spray bottle (close your eyes!). Store it in the refrigerator for a refreshing burst of ‘cool’ when you clean your face! 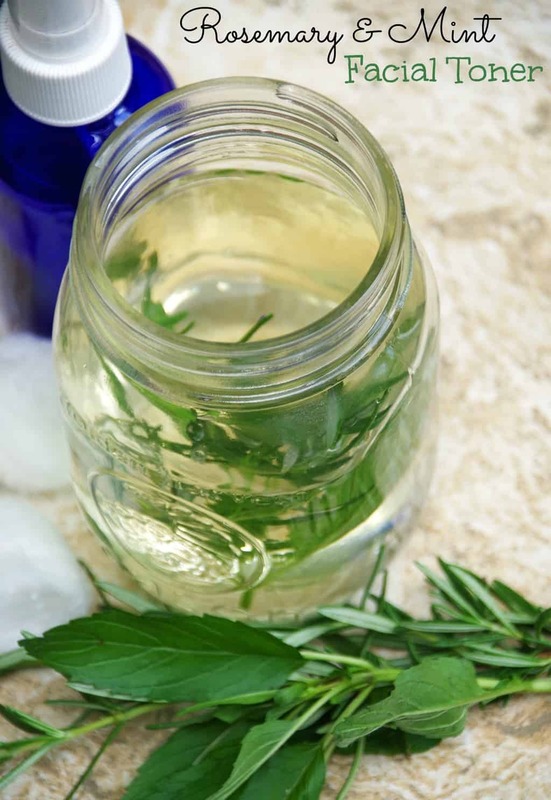 You can leave a sprig of mint and rosemary in the jar when you store it for a bit of added ‘umph’ to your facial toner! Add Witch Hazel ( 2 TBSP or up to 1/4 cup). The more you add the more ‘drying’ this will be. Store at room temperature for a week or in the refrigerator for up to 3 weeks. Do you have any summer skin care tips you would like to share? Rosemary is one of my favorite herbs. I've never tried it in a toner but I bet I'd love it!